vacancy for which suitably qualified Tanzanian citizens are invited to apply. regulation of petroleum subsector to ensure its efficiency and effectiveness. government are protected in the downstream petroleum sub-sector. to the team through effective engagement. prepared and shared with various internal and external stakeholders. vi) To prepare progress and annual sector performance report. distribution and sale of petroleum products. requirement of the law and accepted standards. xi) To monitor performance of the Division. Mechanical, Petroleum Geoscience) or Business Administration. Registration Board (ERB) as a professional engineer. three (3) should be in managerial level. v) Willingness to work beyond the call of duty. i) A competitive salary will be offered to the right candidates for the posts. 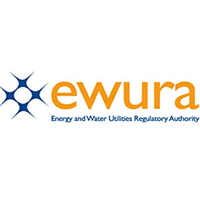 ii) EWURA is an equal opportunity employer. iii) Staff will be employed on 5 years renewable contracts. and may work to the candidate’s disadvantage.